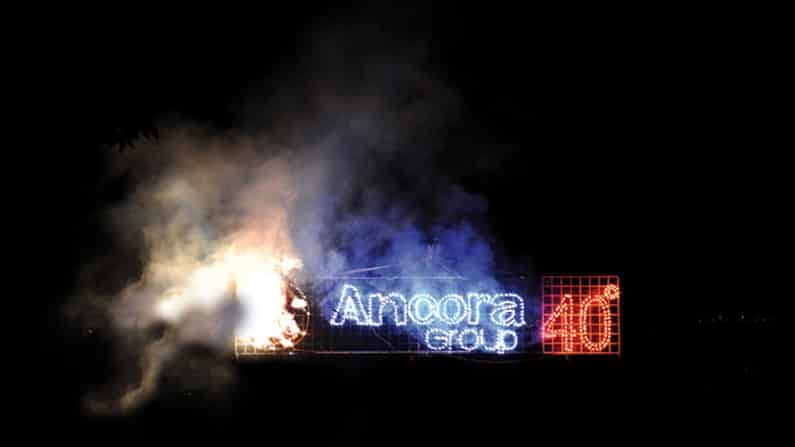 Held during the 2009 Technargilla Ceramic Exhibition in Rimini, guests were invited to celebrate the 40th Anniversary of Ancora Group after the trade show closed to make use of their presence in Rimini. 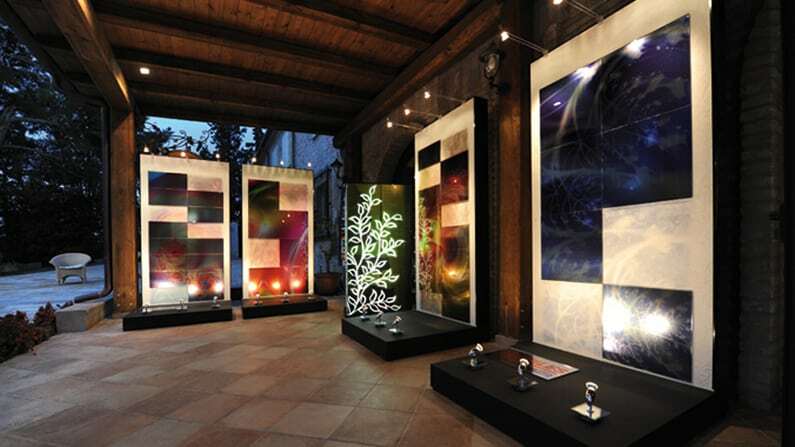 The evolution of the company’s style was displayed with an outdoor exhibit featuring a selection of tiles, porcelain and ceramic pieces from its many collections. 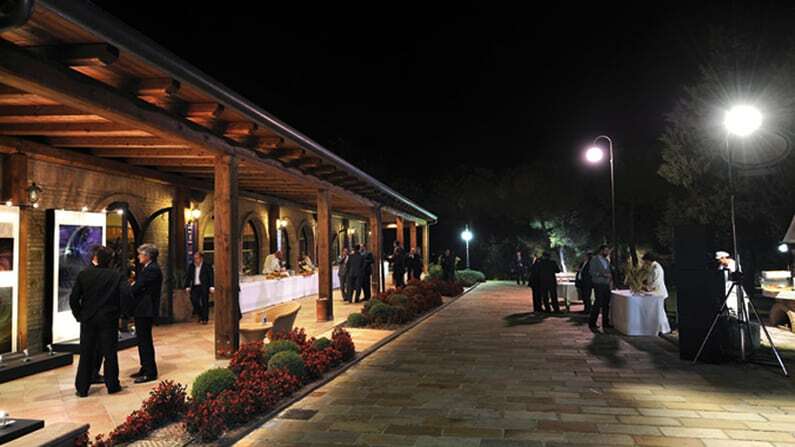 A privatised historic Villa in the countryside of Rimini, Italy in Emilia Romagna played host to this milestone celebration of the 40th Anniversary of the Ancora Group. A custom fireworks show set to music was created along with the company’s logo in a lit-up light and fireworks wall. Hundreds of clients and staff were greeted with an elegant outdoor reception and exhibition and then invited into the private Villa for a sit-down dinner reception. 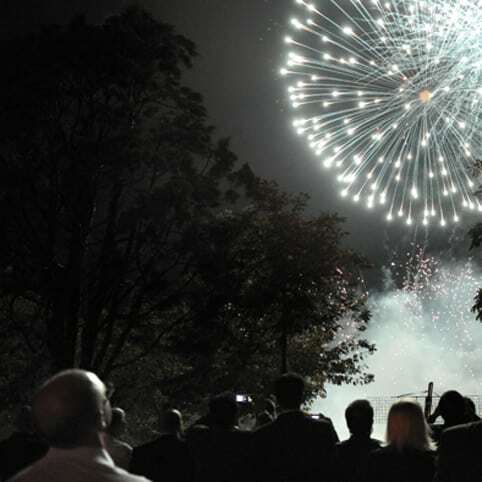 Following the dinner guests had an outdoor drink and dessert buffet with the extravagant fireworks show. 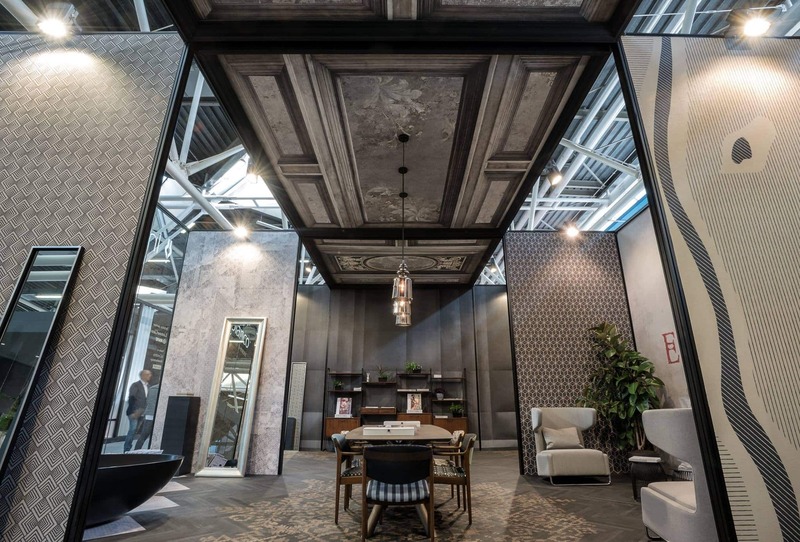 Our build and construction staff can create your event, including custom signare, sign boards, fireworks logo stands and exhibitions with precision and perfection.